The island of St. Lucia is in the midst of a full-fledged hotel development boom. The Eastern Caribbean island will add some 2,000 new rooms to its hotel stock over the next four years, according to tourism officials. Chief among those projects is the new Fairmont St. Lucia, located in Choiseul on the southwestern edge of the island, which will begin work in September. The Fairmont will include 120 rooms, 37 villas, three restaurants, a spa and three swimming pools. Also coming to the island is the Curio by Hilton brand, which will be developed at the site of the Rex Resorts hotel on Reduit Beach, with work slated to begin at the end of 2017. Hilton will be developing both a 350-room Hilton-branded property and a 150-room Curio by Hilton project. A rendering of the planned Sandals LaSource. 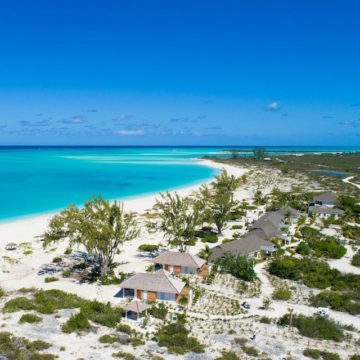 Developers will also soon commence work on the Honeymoon Bay Resort in Cannelles, Vieux Fort on the southern end of the island, with a 250-room all inclusive resort and an 80-room luxury property. In addition, Dubai-based Range Developments, which is developing the Park Hyatt in St. Kitts, has signed a pact to acquire the Black Bay property and develop it into a 180-room hotel, with initial works set to begin in the fourth quarter of this year. The wave comes as the island already added 455 rooms with the new Royalton Saint Lucia, with another hotel, Coconut Bay, which debuted 36 luxury villas earlier this spring with its Serenity boutique resort, while Sandals late last year announced plans to build the new Sandals LaSource Saint Lucia, which will be the fourth of its St. Lucia resorts. 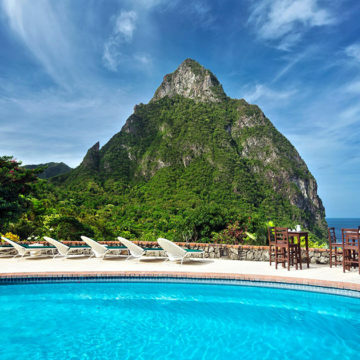 See our list of the top St. Lucia hotels.